Instructions: The Schools To Watch Program is a copyright protected program of the National Forum to Accelerate Middle Grades Reform. 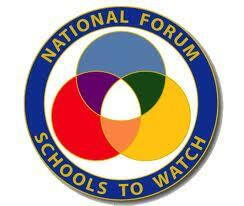 Criteria established by the National Forum is used as the basis for the Forum’s Schools To Watch Program, which focuses on school improvement efforts characterized by a continuous trajectory toward success. The following Self Study and Rating Rubric may be used freely by any middle grades or secondary school to study and rate its practices. No adaptations to this self-study and rubric may be used without written permission from the Schools To Watch Committee and Board of the National Forum to Accelerate Middle Grades Reform. The rubric will take 20-25 minutes to complete. This is a continuing-improvement tool as well as a mandatory self-rating for schools interested in applying for a state Schools To Watch designation. Schools applying for a STW state designation should be consistently averaging scores between 3.4 and 4.0 in all sections and components.